I am working on objects that I have collected, one way or another. Dolls and their relationship to actual people interest me. 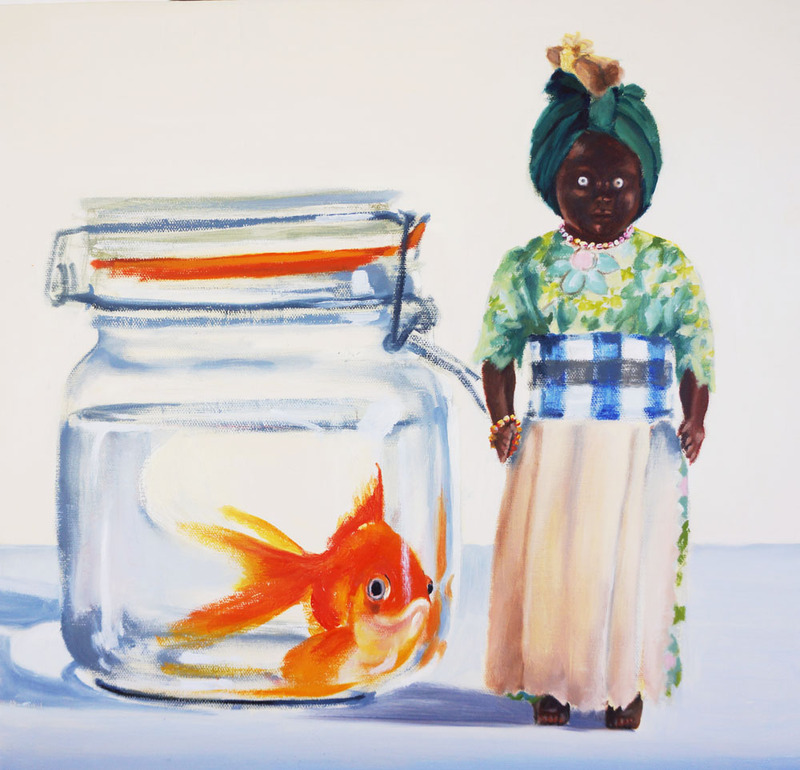 This is a small oil painting of a souvenir doll from Colombo (I know because there is a tiny handwritten note attached to the doll) that I bought at an op shop in Darwin a few years ago, and my goldfish, Herbert. This entry was posted in visual artist. Bookmark the permalink.